When I search for an ancestor, I like to look at the entire picture: the area where he or she came from, what the climate was like, what happened in that town while they lived there, historically what their area was known for, what the people did, who they were, and how my ancestor fits in. 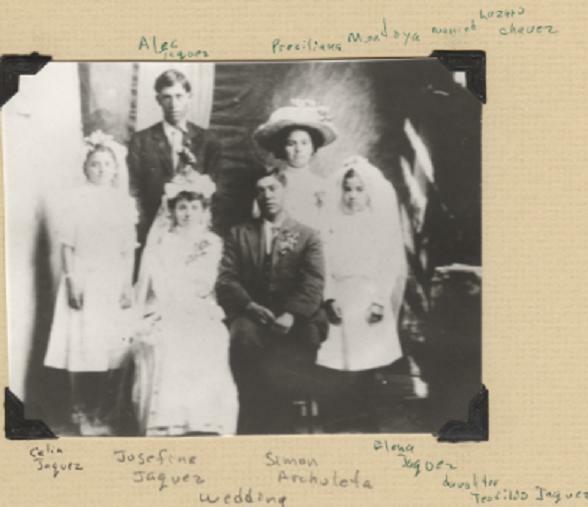 Good lord, searching the Jaques/Jacques/Jacquez and Archuleta/Lujan/Vigil/Herrera families is so time consuming, disjointed, and confusing that I must offer my sincere apologies if you get lost along the way. I will do my best to unwind these threads as we go. I am working my way back in time but wanted to take time to finish the Juan N. and Ana Maria kids since we’d already looked at a couple of them and because I met a lot of these ancestors. That way I am able to give a personal view to my blog. 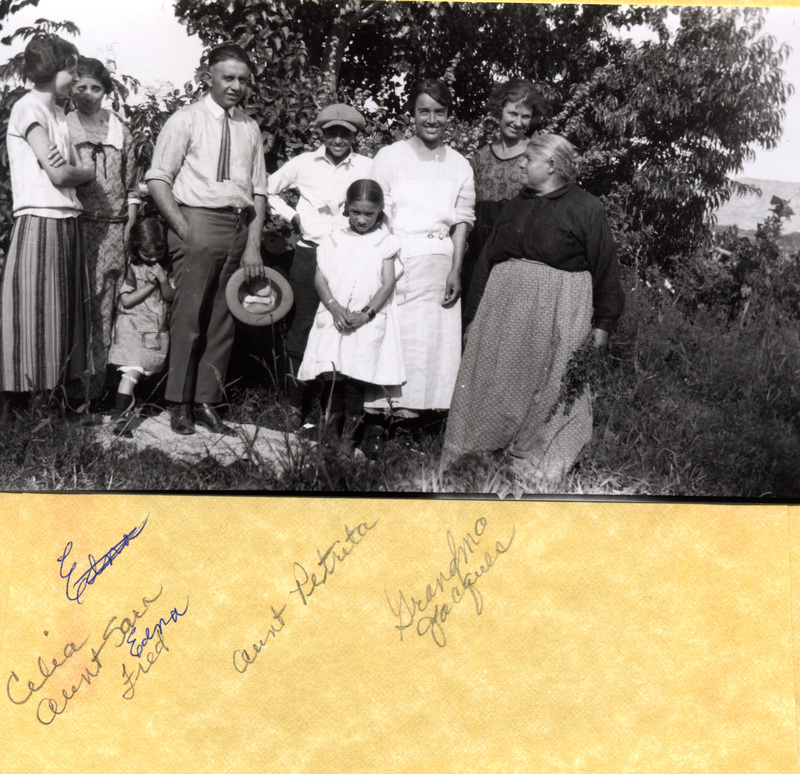 These ancestors mean a lot to me, just like when I blog about my mother’s ancestors. Uncle Alex and Uncle Onofre will forever be tied in my memory, the only time I remember meeting them, at my Grandpa Jacques’ funeral. Alex Jaquez was born on December 20, 1888. His given name was Alejandrino and with the loss of the 1890 Census, we must look to the 1900 Census for our first clue to his upbringing. His parents were living in Blanco, NM but Alex is not listed as living with them. I understand that his sisters went away to school and thus I can only imagine that is where 12 year old Alex is living during this census. By 1910 Alex is back at home, now age 22 and though he doesn’t have an occupation listed, he most certainly would have been helping on the ranch. He married Petrita Cevada on January 20, 1913. I can picture all of the men in Blanco New Mexico lining up to fill out a draft card before the impending war. The card indicates that Alex was married and had two children. At that time, Petrita also must have been pregnant. 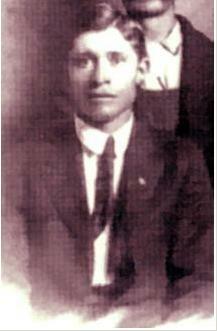 Their first child was Juan Nepomuceno Jaquez, born October 11, 1914. (He later goes by John and that is the name on his headstone). By December 4,1917, their third child, Arturo Alexandro Jaquez was born, rounding out their family. 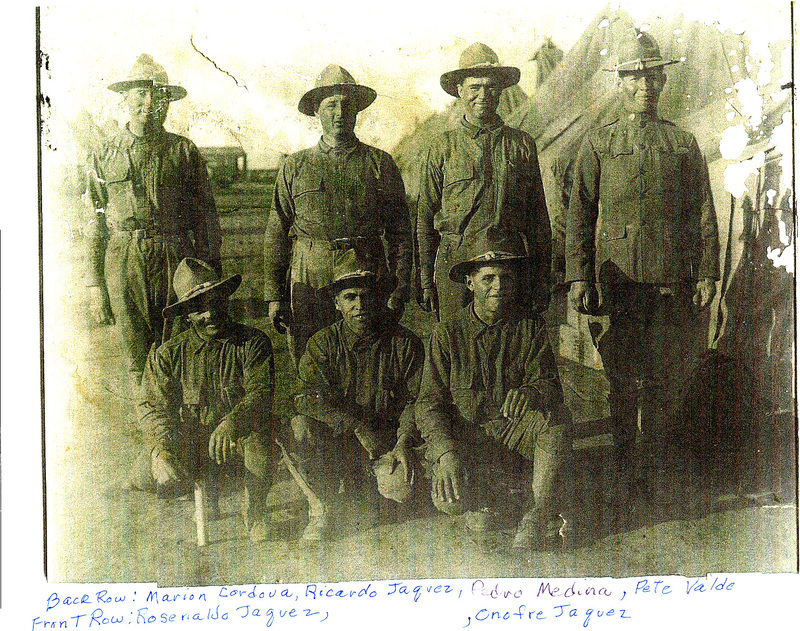 By 1920, they are living in Largo, NM and living close to Juan N. Jaquez and T. Simon Archuleta. Uncle Alex is a farmer. His son, Juan N. (John) was 5, Margarite was almost four, and Arturo was 2 years old. His father, Juan N. Jaquez, patented 320 acres of land in Southwest Farmington, across from where McGee Park is currently located. The document patenting this land was signed by President Calvin Coolidge who was in office from 1923 to 1929. 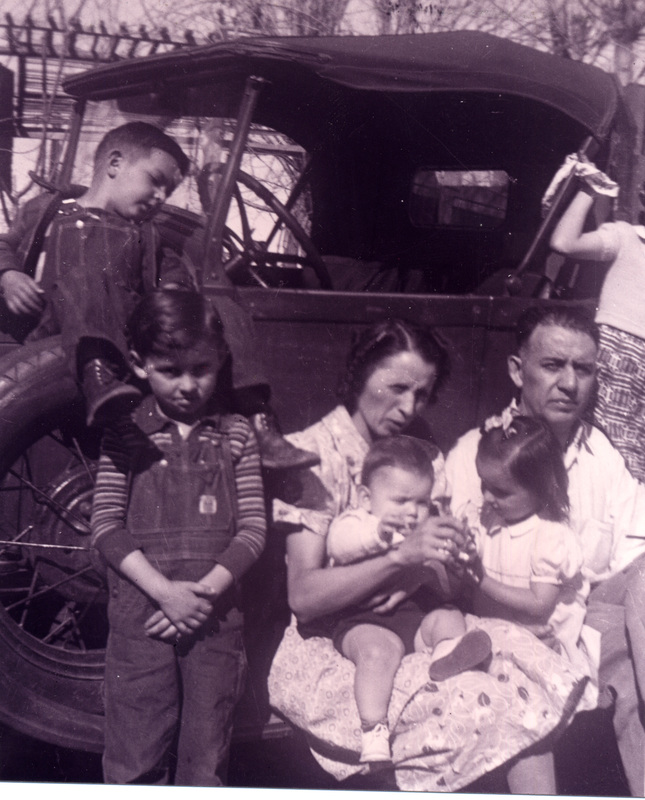 By 1930, Alex and Petrita live in Aztec, their kids now 16, 14, and 12. Alex is a flock master, presumably with his brother Onofre. Back to the matter at hand, my cousin Joe Telena had the obituary that was in the newspaper in New Mexico when Uncle Alex passed away, one short year after I had met him. In my memory of him and Uncle Onofre, both were as nice as could be. I am willing to bet that my Aunt Della had these newspaper articles saved. Joey put them on Ancestry.com and I pulled them from there. The first article states that a family burial plot was made from the land the Uncle Alex purchased. It is the same land that his father, Juan N., had purchased in the 1920’s and lost in the depression. Uncle Alex purchased the land back and it is on that property that he is buried. The land was deeded to his three children. That is his daughter and son in law visiting his grave. 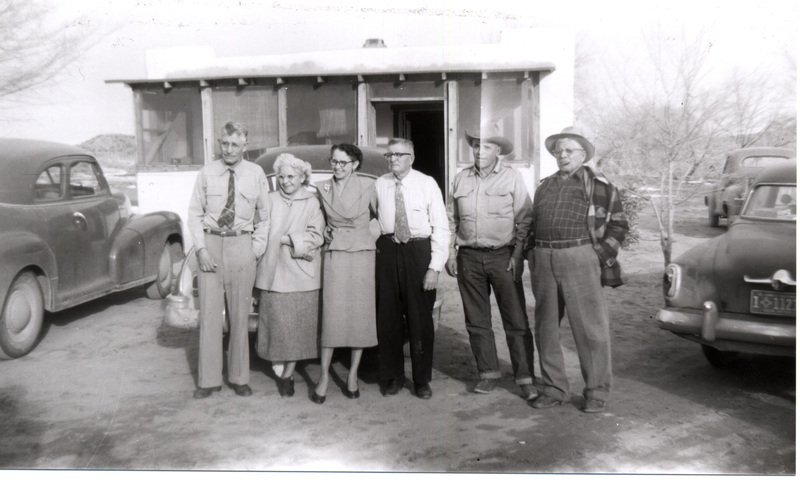 Uncle Alex was a rancher for most of his life, but in the 1920’s also worked briefly for the New Mexico State Commission during the administration of Governor Arthur T. Hannett, a Democrat. When his daughter says that he was a big Democrat, it made me laugh. My father and all of his siblings were Democrats and were very proud to be so. His son in law said that Uncle Alex was interested in people and never met a stranger. He was a neighbor to all. His daughter said he also loved to quote poetry. Isn’t that sweet? I like that. If he knew someone was ill, he’d have to go check on them. She said that since he’d died, she had heard from nieces and nephews that whenever he greeted anyone, it was always with a smile and his arms open wide. His daughter says of him, “Babies loved him, even if they didn’t know him.” That made me laugh because I am the same way. Random babies who don’t know me will end up wanting me to hold them. Last August, I spent an entire airline flight to San Diego holding a random stranger’s baby. I am glad to know I got that trait from Uncle Alex. I was so pleased to read this obituary because it speaks to his character, what a caring person he was, and how he must have idolized his father, working to buy back the land that his father lost in the depression. It is so obvious that he was a man who cared for his parents, his siblings, his wife, and his children. We are proud to have Uncle Alex on our tree. 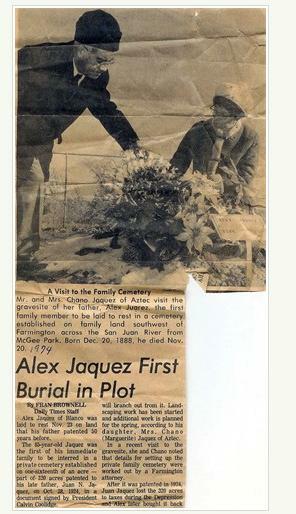 Alejandro J. Jaquez died on November 20, 1974 in Blanco, NM. 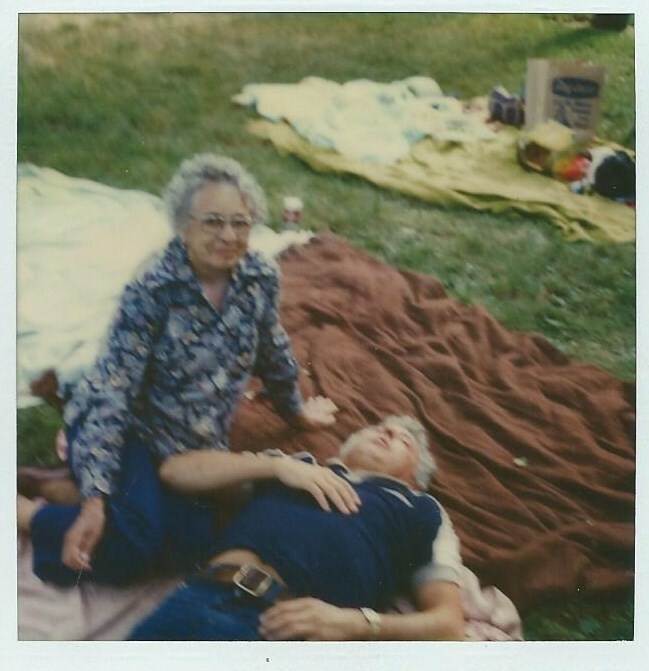 His wife Petrita passed away on March 23, 1981. They are buried together, in the Jaquez family plot. Different people on my family tree will intrigue me and beg for their story to be told. I like when I can add pictures (not able to do that very much on my mother’s side. Had to rely on documents and stories told by other people). Fortunately, on Great Uncle Onofre, we have pictures to help paint our picture. 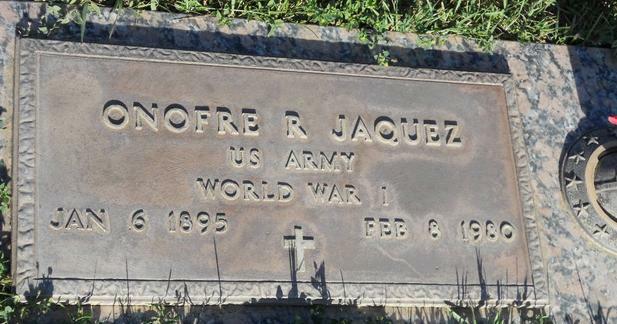 Onofre Reyes Jaquez was born on January 6, 1895. He was the last son born to Juan Nepomuceno and Ana Maria Jaquez. With older brothers and sisters and two younger sisters to follow, Onofre was a middle of the pack kid. As you can see, Uncle Onofre had a charming little face. 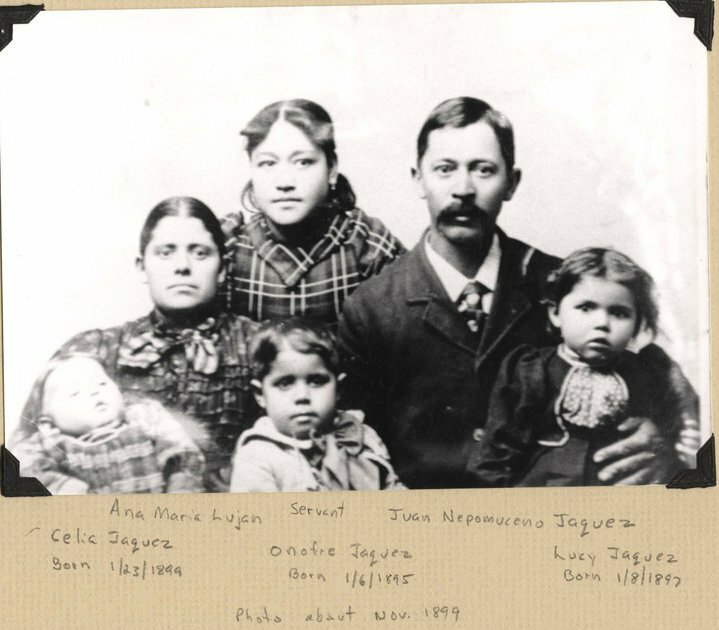 When we look at the 1900 census, he is living with his parents and younger siblings in Blanco, NM. As every neighbor had the last name Jaquez, I would imagine it was very crowded, very busy and easy to get lost. I would think growing up in a family owned business and living at that business (on a farm), you get to know your job very well and it probably never leaves you. I can only imagine that is how it was growing up at a time when outside communication was nil. You would have had your family and your farm, probably the entirety of your life. 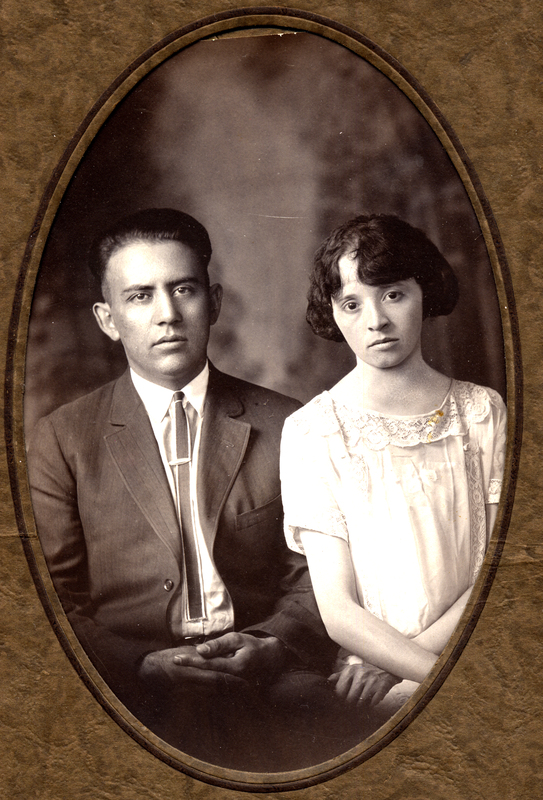 By 1910, the family is living in Blanco and Onofre was 15 years old. Now, he probably has 14 years of experience at his job (fine, an exaggeration, but just probably just by a year!). There is a world event on the horizon, looming ever closer that must have shook his world and everything he was used to. This is what intrigued me about Uncle Onofre. On June 8, 1917 he filled out this draft card. He would have been 22 years old, not married, had no children to support, and he simply wanted to raise his stock. I think that is such an endearing quality. I read a lot of writing books (shocker) and there is a theory and book called The Hero’s Journey, written by Joseph Campbell. He identified certain steps that the hero of a novel always takes on his journey through the story. The first step is the ordinary world and the second step is the call to adventure. Step three is the refusal of the call, step four is meeting with a mentor, and finally, at the end of Act 1, is the crossing the threshold into the journey. It is clear that these are the steps the Uncle Onofre took leading into World War 1. 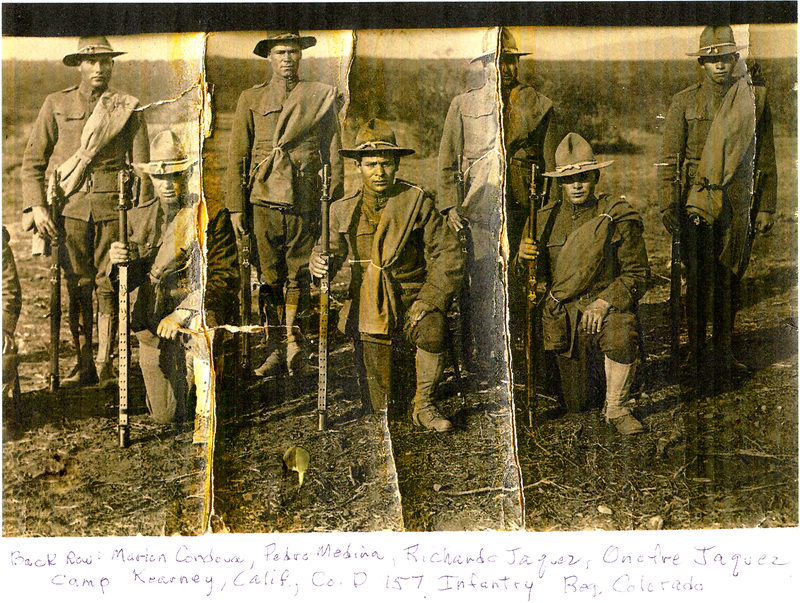 According to the picture, it was taken at Camp Kearney. 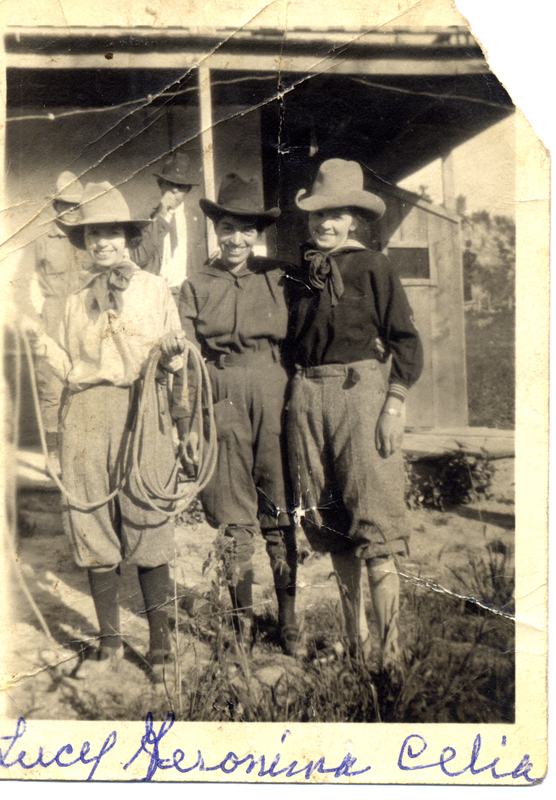 Camp Kearney is in San Diego County and was established July 18, 1917. It was one of 32 camps created in May of 1917 to house and train army troops making their way to World War 1 battlefields. He also trained at Camp Funston in Junction City, Kansas. Also included in these army pictures is Richardo Jaquez. Not quite sure how he is related but I know that he is (aren’t they all). I am not sure how long he served in the army (still slogging through Army records) but he is included in the 1920 New Mexico WWI records. 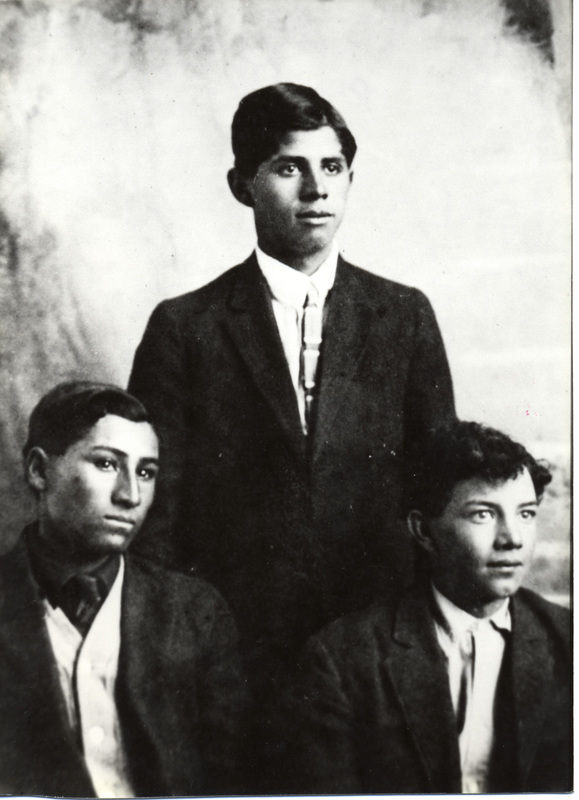 He is also included in the 1920 Federal Census for Blanco along with his parents and siblings. 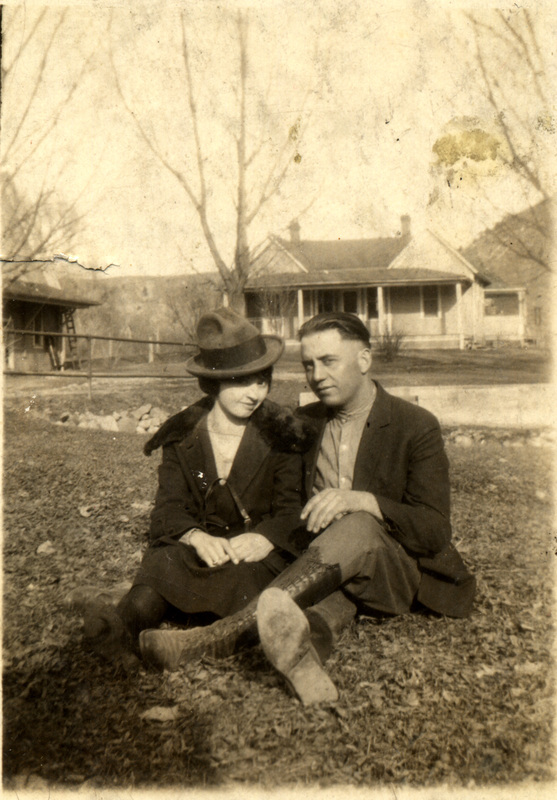 Onofre R. Jaquez married Alvina Martinez in 1928. He was 33 and Alvina was 22. 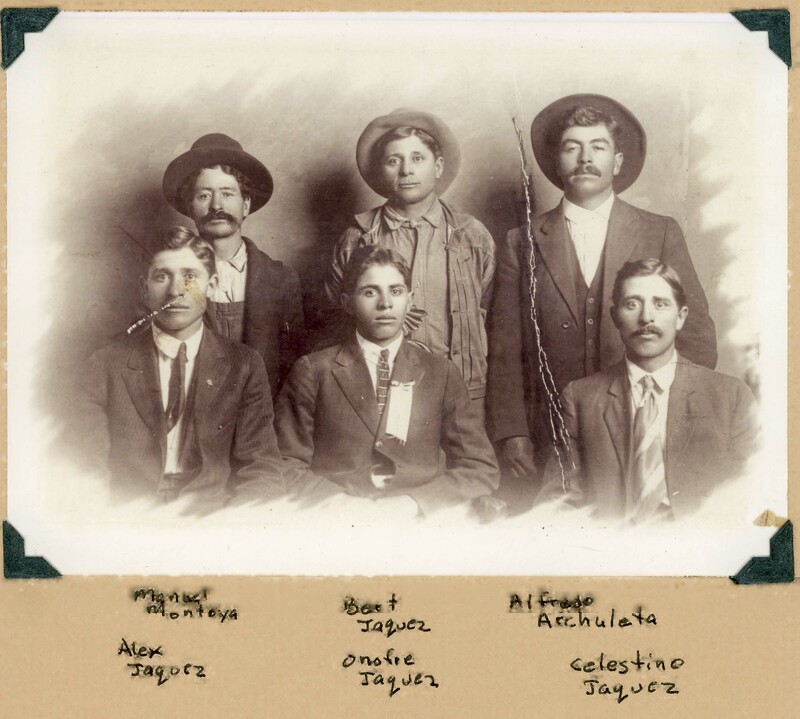 By the 1930 census they live in Aztec, Onofre 35 years old, and they were living in town. 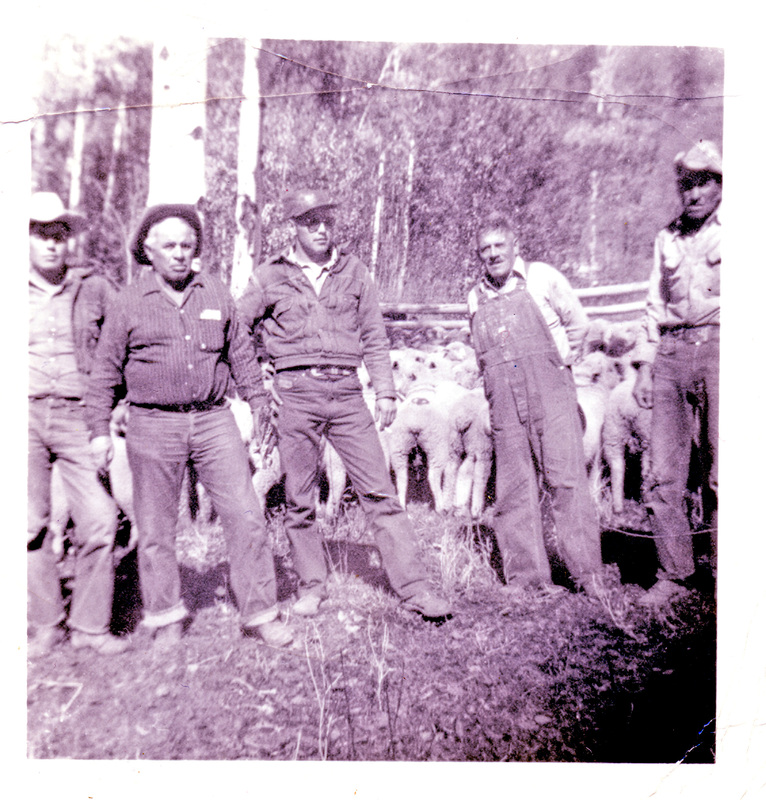 His daughter Stella was 1 ½, Mary Jo was 6 months old, and his job title was Flock Master of sheep. Isn’t that great? So he continued to care for his sheep. I believe this picture is of Uncle Onofre, but I am not positive. The man in the center looks a great deal like what his son Buster (Onofre Jr.) looks like to me. 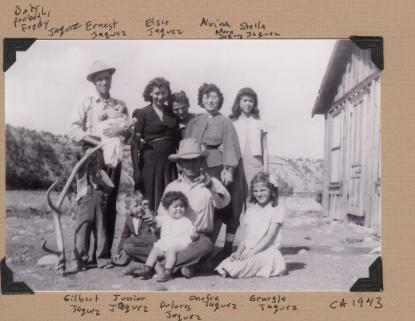 The 1940 Census shows them living in Cedar Hill in the San Juan area of New Mexico. Onofre is now 45 years old and he and Alvina have added to their family. Stella is 11 years old, Mary Jo is 10, Buster (Onofre Jr.) is 8, Georgia is 7 and Gilbert is 2. I am not sure what year Dolores was born, but she rounded out their family. They were living on a farm and raising stock. They seem to be pretty consistent people. Uncle Onofre is on the bottom row, in the middle. He looks so young here. So many things say New Mexico to me. These include chili, beans, tortillas, sopapillas, pinon. For me, Uncle Alex and Uncle Onofre say New Mexico. 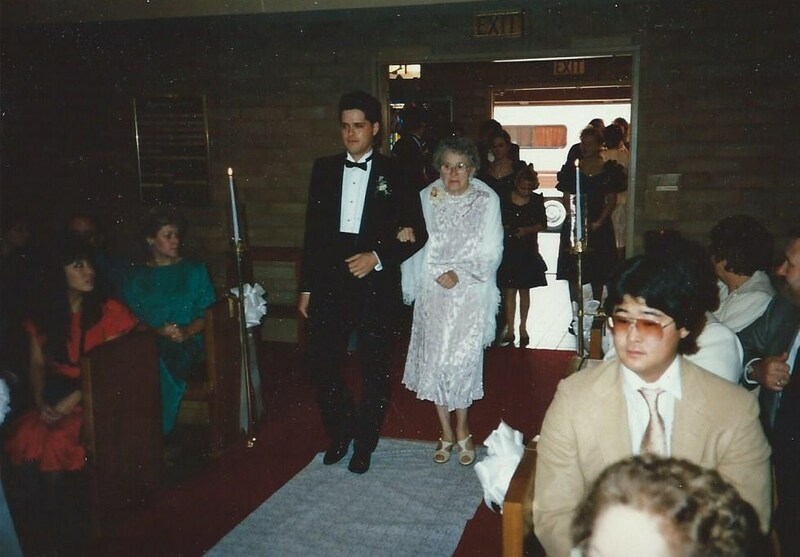 In 1973, they arrived from New Mexico for my grandfather’s funeral. It was a big deal. I was 8 years old and it made a big impact on me. I had very little personal memory of my grandfather, but they were both very nice and I remember feeling so happy that I had met them and how nice they seemed. 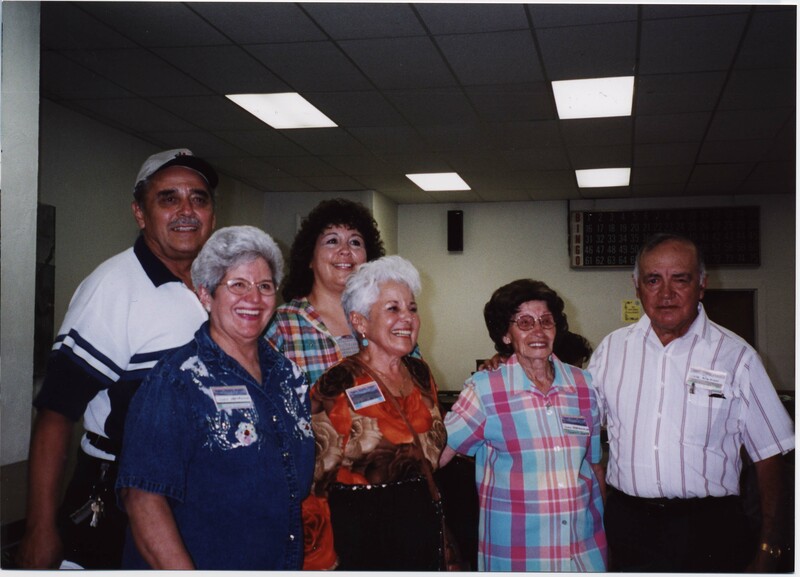 This is a great picture of Uncle Onofre, Aunt Alvina, their children, and my Uncle Ernest and Aunt Elsie on the left. I found this great article about his daughter, Georgia Jaquez Lewis, that ran in the Aztec Newspaper in 2013. She was honored for a lifetime of work in the Civil Rights and justice for minorities. 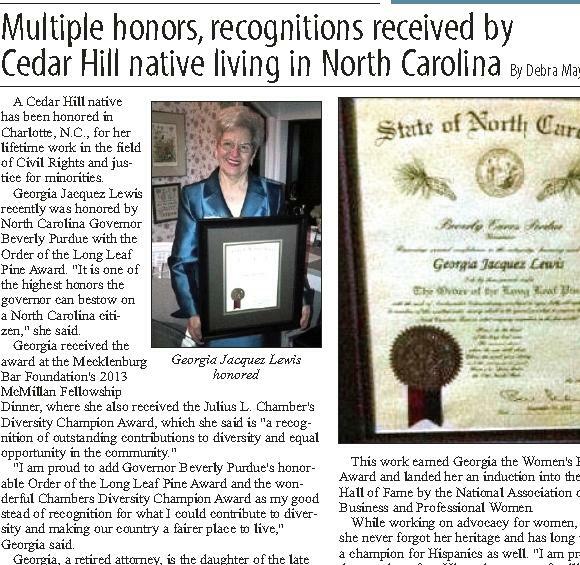 She was given this award by the Governor of North Carolina, Gov. Purdue, who bestowed the Order of the Long Leaf Pine Award. Here is one more quote, “I am proudly loyal to them and my four Hispanic ancestor families – Jaquez, Lujan, Martinez and Vigil – who were among the first European settlers to colonize America over 500 years ago”. That is why I love ancestry research. Right there, in that article we learn of a really great woman who is out making a name for herself and who appreciates her heritage. Isn’t that awesome? Last quote from this article. This is just one example of what a great family Uncle Onofre and Aunt Alvina raised. We visited New Mexico, stopping to visit Aunt Alvina with my mom and dad when Taylor was little and I am so glad to have met her. 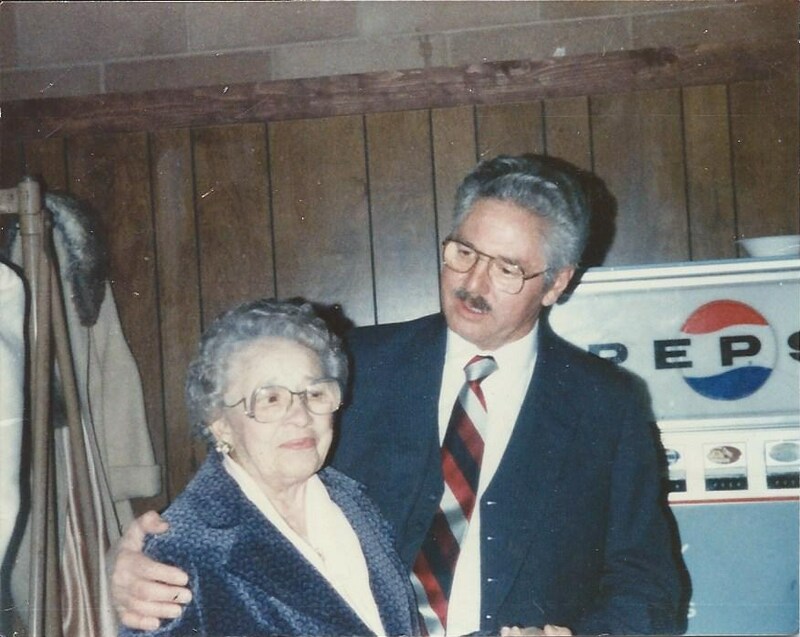 Uncle Onofre passed away February 8, 1980 and Aunt Alvina passed away on May 7, 2003, two short months before my father passed away. That, folks, is a life well lived. Celia Jaquez Herrera was the very last child born to Juan Nepomuceno Jaquez and Ana Maria Lujan. She was born on January 24 1899, the very last year of the 19th century. On the 1900 census, she is living with her parents and her siblings. She is one year old, her sister Lucia is 3, brother Onofre 5, and brother Selestino, age 13. Interesting that her name is spelled Selia on this census as well as Celestino’s name, also spelled with an S. Also interesting that her brothers Alex and Bert and sisters Josefina and Sarah are missing from this census. 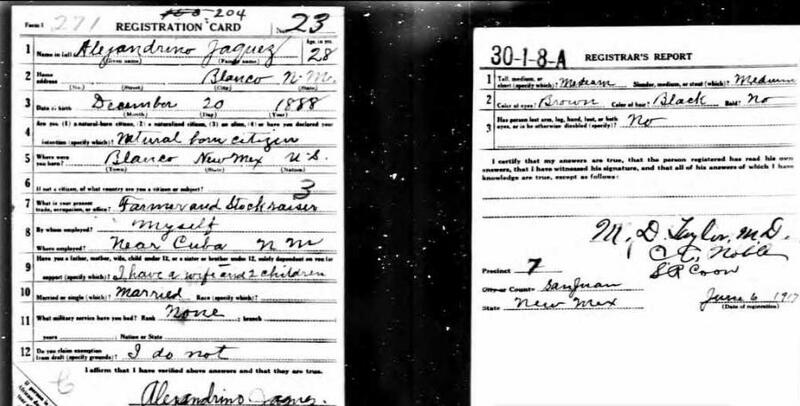 By 1910, her siblings are back home, the family living in Largo, NM and Selia (still spelled like that on this census as well) is 11 years old. 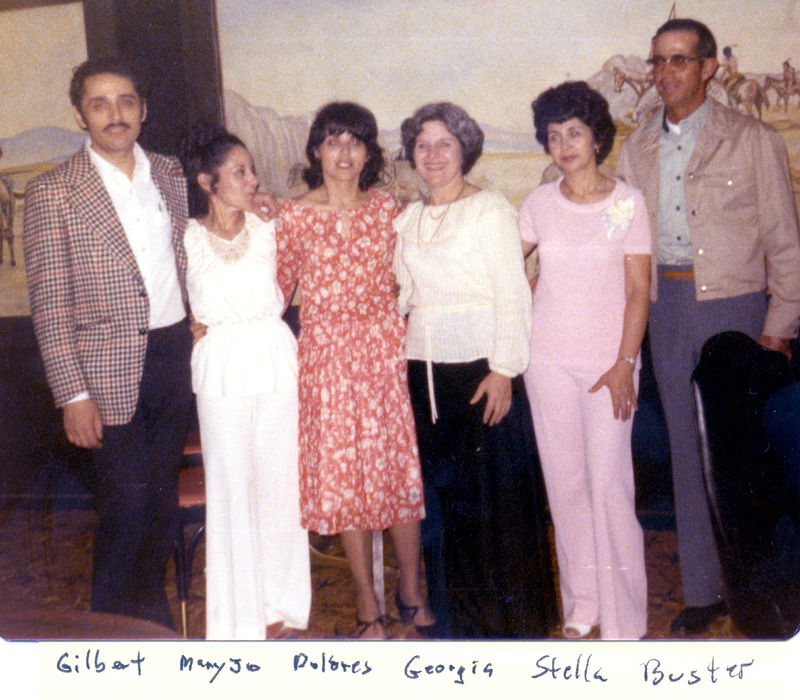 Her brother Celestino has already gotten married and his wife Tonita is also living with them. 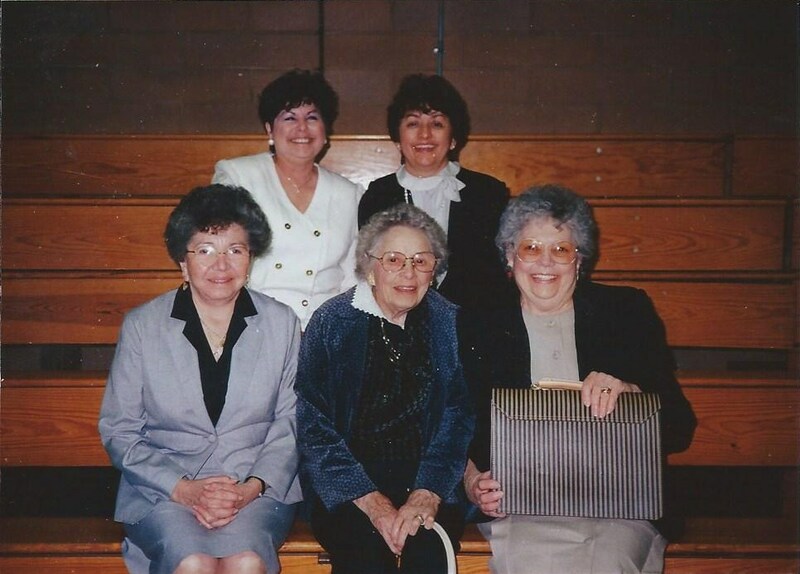 In this picture of her sister Josefina’s wedding, Celia is on the left. Celia was very close with her sister Lucia as they were two years apart. They must have been close with the Archuleta family. 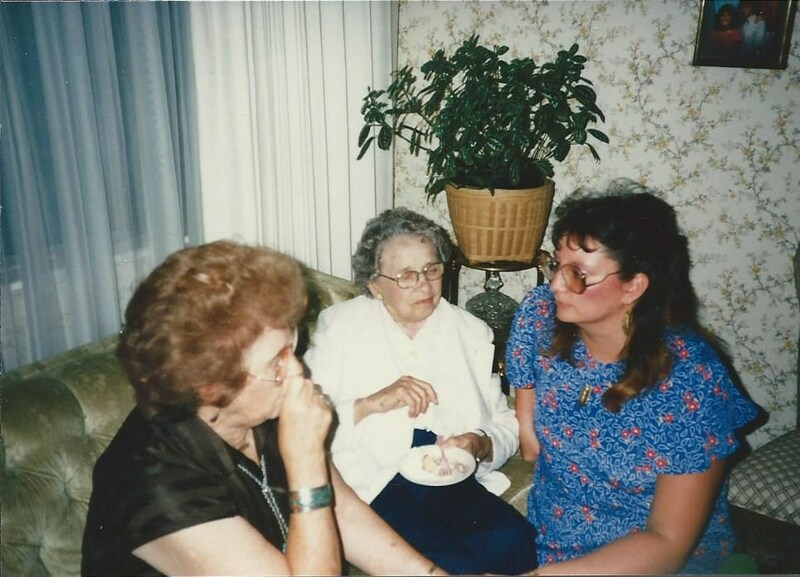 Here is a young Celia along with her two besties. I only knew Aunt Celia when she was elderly, however, looking at this picture of her as a young girl, she must have been a kick! 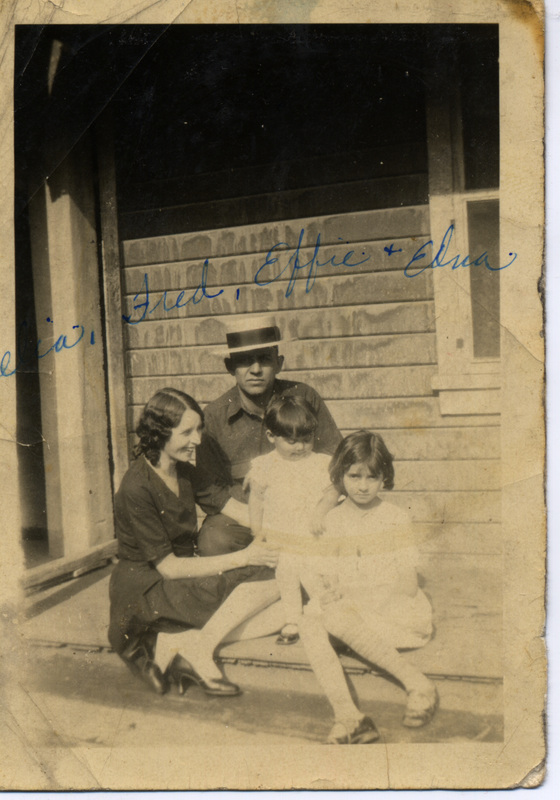 By 1920, Celia is still listed on the census with her parents in Largo, but her daughter Maria Edna, who was born on November 28, 1919, is not listed on this census. I am not sure why but I do know Maria Edna was born in Hutchinson, Kansas. Celia’s name is now listed as being spelled Celia, with a C, and she is 21 years old. Her brother and his wife still live in the family home, too, along with their six children. I really love that we can trace her path from childhood to adulthood and beyond with the Census. By 1930, she is married to Fred Herrera and has been for five years. He was born on April 27, 1900 in New Mexico. In 1930, they are living in Jerome, Arizona. Living with them are their daughters, Marie Edna, age 10 and Effy age 2. 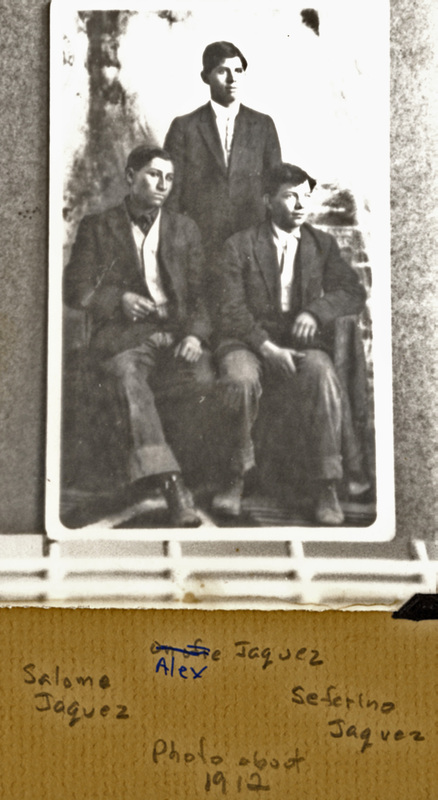 They also have his brother, Filadalfio Herrera and a nephew Alfonso Martinez living with them as well. Fred was working as a miner in a copper mine. The 1940 Census shows they are living in Jackson, California and that they have lived there for five years (the census asked where they lived in 1935). 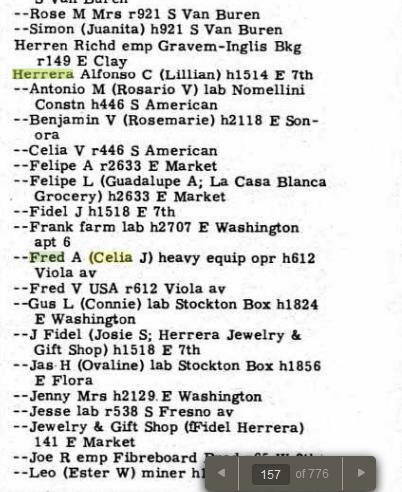 Her brother Celestino and his family also lived in Jackson in approximately the same time, as they moved when my dad was 7, just around 1934. Their daughter Marie Edna is not listed as living with them but the population of their household has exploded. Effy is now 12 years old and joining the family are Palmera, (Polly) age 6, Freddy, age 5, LeRoy, age 3 and Jeraldine (spelled in this fashion on this census) age 2. Talk about stair steps! 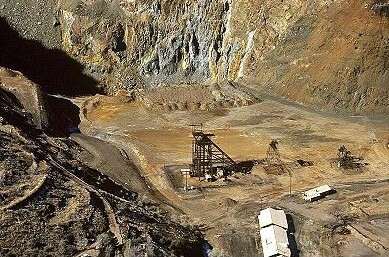 Fred is working, again as a miner, this time in a gold mine. Eventually, in the 1940’s, they moved to Stockton, where they spent the rest of their days. Here is a copy of the City of Stockton Directory. I like these because they also include their residence address along with the occupation. As you can see, Fred is now a heavy equipment operator. 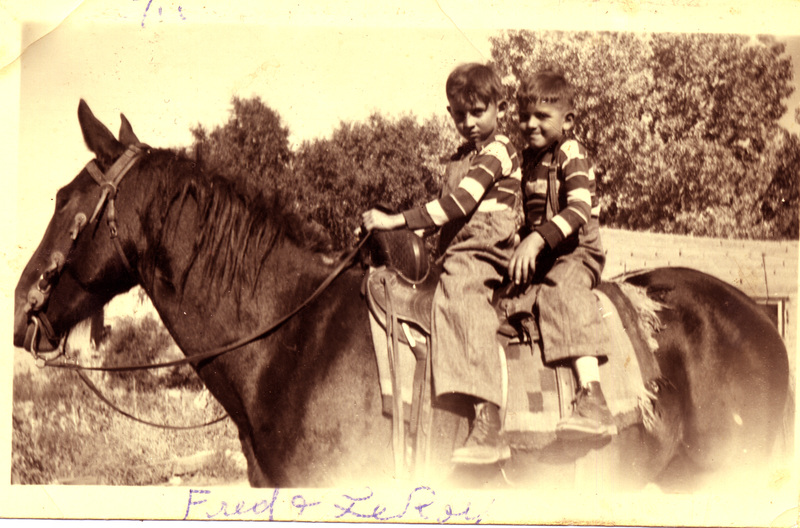 I don’t have any memory of Fred (I was only 9 when he died) but I knew Aunt Celia. She was a really great and fun person. She loved people, loved to visit and she always seemed as if she had a secret she was just waiting to tell, as if she could reveal the secret to life. My dad would visit her regularly. If he got any where close to her house, he’d tell my mom, “Let’s stop and see my aunt”. Being the youngest, I was at home with my parents and we visited with her a lot. She would speak to my father in Spanish and offer him a shot of Southern Comfort, her drink of choice. 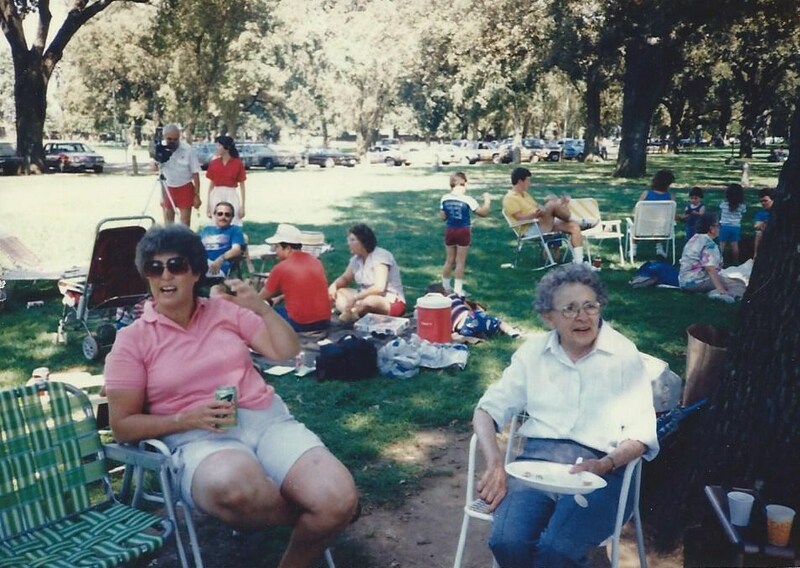 She would tell stories and laugh, always a great time to be had. Her daughter Geri would tell her, “Mom, we’ve got a baby shower coming up. Start another blanket.” Aunt Celia was very famous for her knitting. 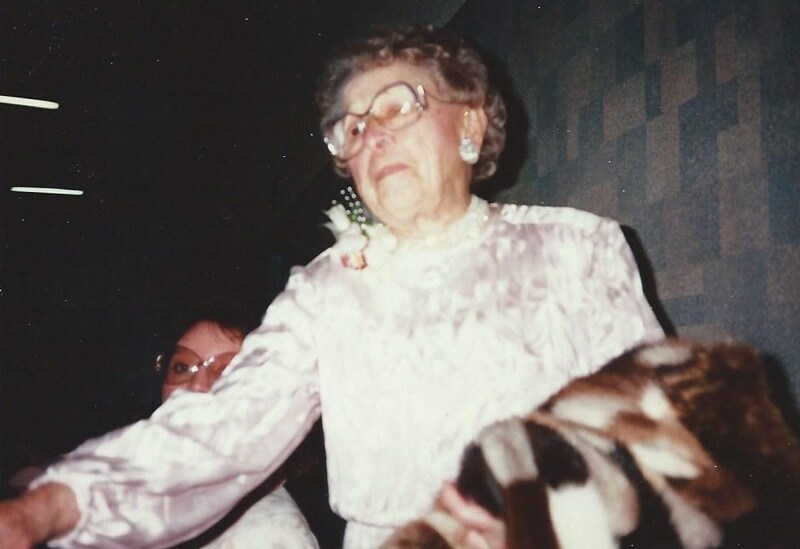 Aunt Celia was dearly loved and took that love with her when she left us. She passed away on February 1, 1996 and is buried at the San Joaquin Catholic Cemetery in Stockton, CA.